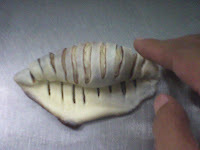 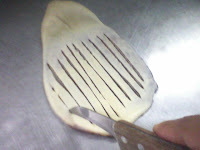 This bread design requires sweet dough because if you use sour dough,the taste will become quite funny.You need a roller and a sharp kitchen knives for cutting.Remember that you can always change the filling anytime if you desire another filling for example lotus paste or chocolate paste. First of all,you need to fill the red bean paste into the sweet dough preferably 50gm dough.Its up to you how much do you want but if you fill too much,you wont be able to clip it. 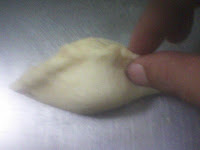 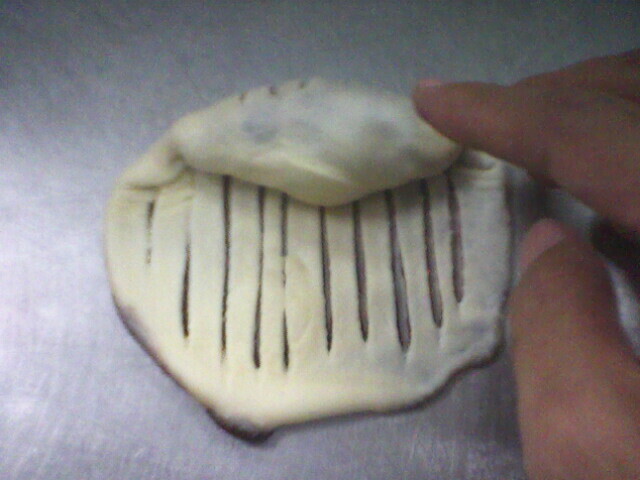 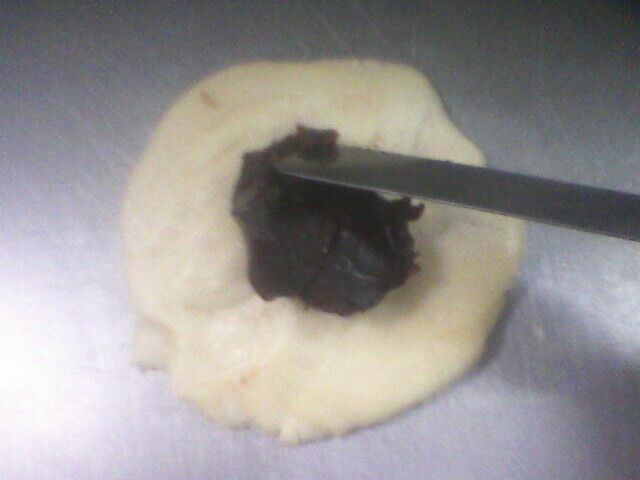 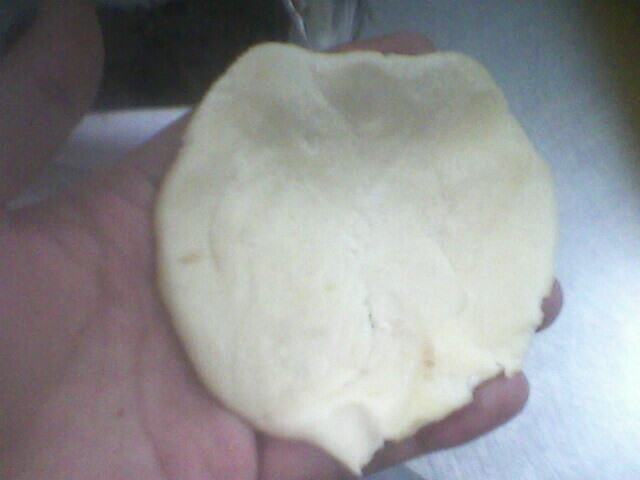 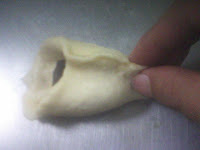 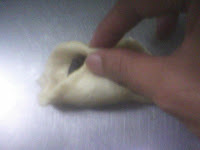 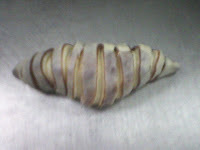 Clip the dough tightly as shown above so that the filling wont spread out when you roll it later. Now turn the clip side below and start rolling the dough like the picture above.Remember not to roll the whole dough,leave the top side as it be. 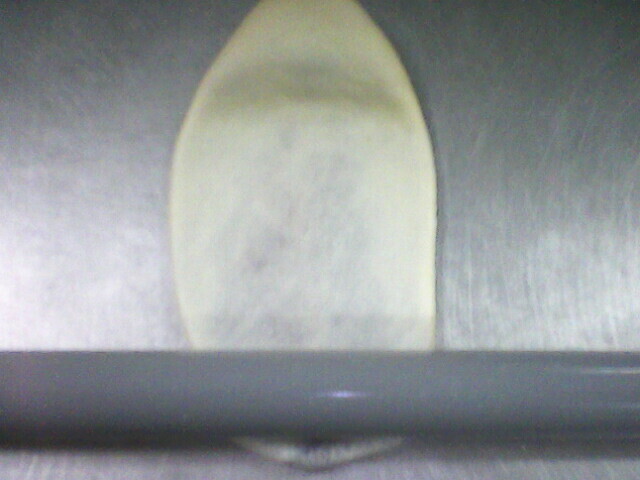 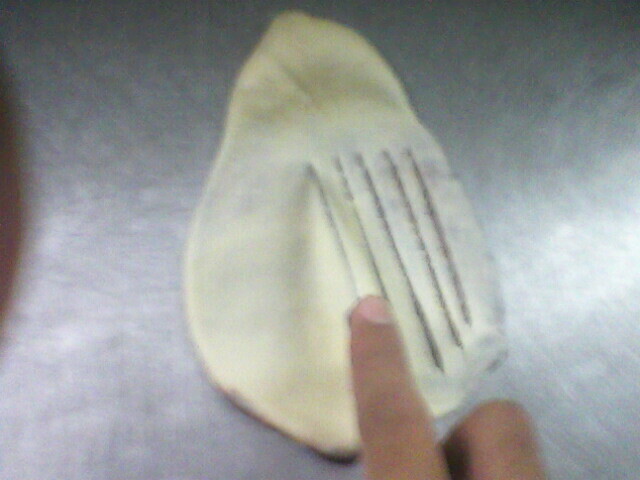 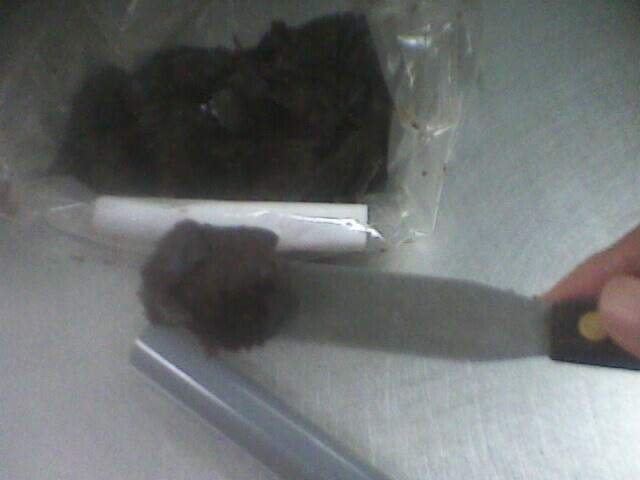 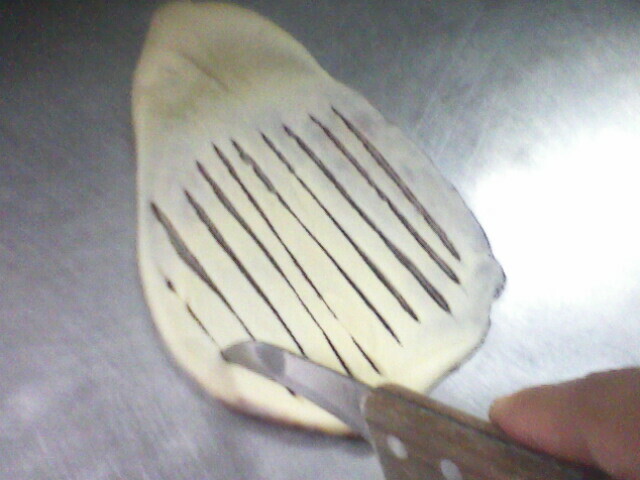 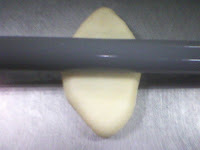 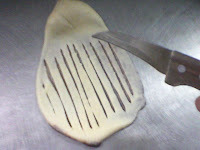 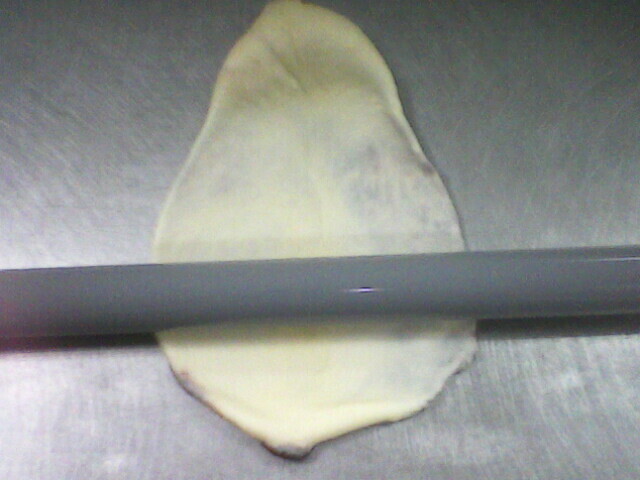 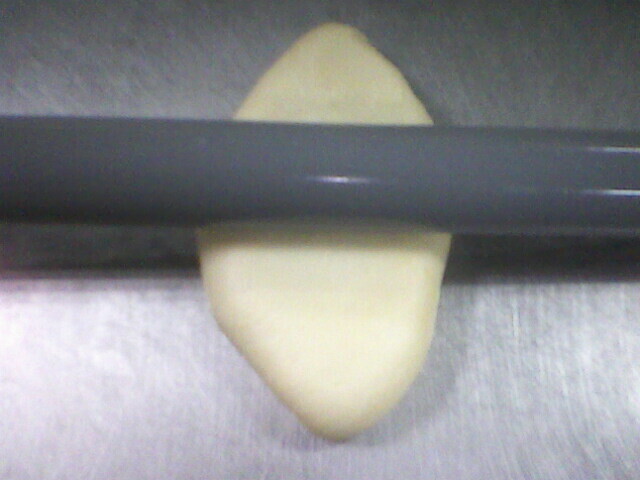 Its time to use the sharp knives.If your knives not sharp enough,you cant drag line on your dough perfectly. 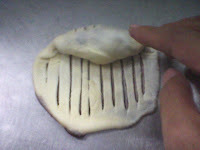 Now roll the dough like shown above.The line that you drag using sharp knives will exposed the red bean paste.As usual,put on a tray and watch it "grow" bigger and baked it.You can use sesame to dress it on the top.Coat the red bean bread using egg yolk and put some sesame or sultanate for better appearance.